JJ Tech announces the delivery of an ULTRA-FLOW™ production system skid, configured for the firm’s FRAC-EVACTM accelerated frac flowback system, to a location in Illinois. It is the first system the firm has placed in the state of Illinois, and is initially on a rental basis. 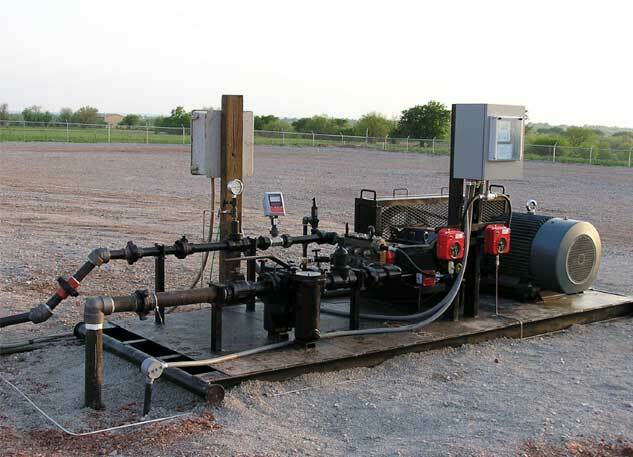 JJ Tech’s ULTRA-FLOW™ production system is a patented process that combines the JJ Tech Jet Pump with a powerful diaphragm surface pump by Wanner Engineering, Inc. This award winning pump has no seals or packing, as does a traditional triplex plunger pump. The seal-less design reduces downtime and maintenance while keeping the location free of lubricating oil and saltwater. The Wanner T8045 Diaphragm Pump is capable of 3000 PSI at 1550 BPD. Case studies prove that FRAC-EVACTM can remove large volumes of fluid and bring production to the market in a mere fraction of the recovery time a conventional rod and tubing system can achieve. JJ Tech is a US based, world-wide supplier of cutting edge artificial lift systems to the oil and gas industry. The company currently has eight international and US distributors and hundreds of hydraulic jet pumps placed throughout the world. Please refer to our website, www.j-jtech.com, for more information and to register to receive future press releases by e-mail.